Turntables and vinyl records have made quite the comeback in recent years—record sales are at a 25 year high. Whether you want to play a new release or dig into a milk crate of old record, we’ve got a turntable for everyone. MP3s and streaming may be all good and well for pure ease, but for many people, there’s nothing that quite beats hearing the warmer analog sounds of a vinyl record on a turntable. Given the relative complexity of setting up a turntable correctly, you’d be right to be a little intimidated. Fortunately, there are many great turntables out there for getting you started. We’ve checked out the best examples currently available. Some turntables require quite an extensive setup to get the most out of them. We’ve taken a look at turntables that don’t require particular intricate setup, unless you want to get tweaking away. Also, while some look extremely professional and high-end, we couldn’t help but take a look at some lighter, more vintage looking examples—the kind that are really going to suit your lounge. There’s also a look at turntables that are easy to hook up to your PC or Mac, for those times when you want to digitize your vinyl collection. Belt-driven turntables are typically seen as superior to the alternative direct drive motor based system. That immediately gives the Altec Lansing Belt-Driven Stereo Turntable a significant advantage. Available at a low price, it’s a bargain of a turntable, offering high-end features at a great price. The turntable features powerful 30 watt stereo speakers if you want to use it as a stand-alone unit, plus standard RCA style jacks on the back to hook it up to your existing speakers. Further, it sports Bluetooth connectivity so you can use the built-in speakers to stream music from your smartphone or other Bluetooth source. The stylus has two speeds—33 1/3 and 45 RPM—to accommodate most tastes, and there’s an auto stop on/off switch for added ease of use. In addition to a solid feature set, it also has a nice retro-but-not-too-old-timey vibe going on that’ll look great in your living room. There’s no USB functionality to use the turntable to record digital copies of your records, alas. So, you’re looking at the price tag. Why spend more on the Audio Technica AT-LP60BK when the Altec Lansing is $30 less, right? It depends on the features you need. Simply put, the Audio Technica AT-LP60BK offers some key features that make a world of difference, assuming you need them. Namely, it has USB connectivity. That means you can easily convert your vinyl records to digital files by using the turntable hooked up to your PC or Mac. Elsewhere, the Audio Technica is similar to the Altec Lansing, but with key improvements. It dodges motor vibrations by isolating the platter, which leads to increased clarity and better sound. Its diamond stylus is higher quality. If you want a little more oomph from your turntable and with a full-coverage dust lid, this is the device to get. 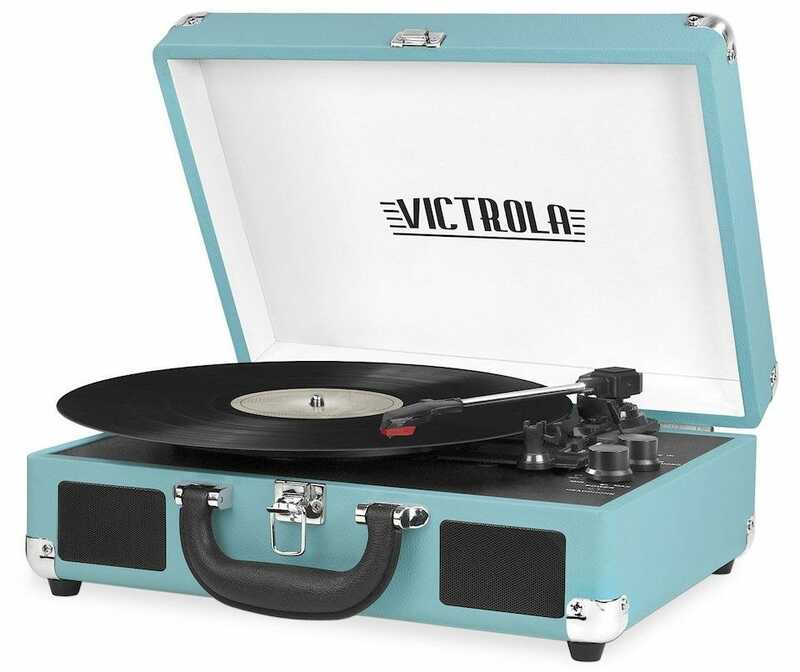 The Victrola Vintage 3-speed looks pretty stylish, clearly embracing its heritage. 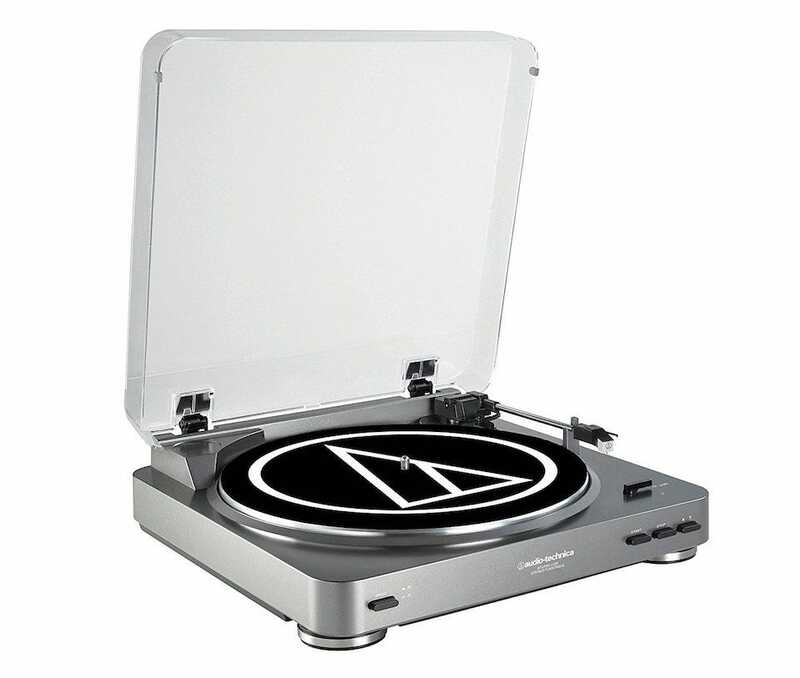 Available in many different colors, it’s a budget purchase for sure, but it plays vinyl records pretty well. There’s the option of three different speeds—33 1/3, 45, and 78 RPM—which is perfect for when you’re tweaking your record playing. There’s built-in Bluetooth so you can play other music through the device, or alternatively, you can use the 3.5mm aux-in for similar results. It’s all packaged up in a portable suitcase style design with an easy carry handle so, yes, you can carry it around pretty easily. There’s no USB connectivity or anything overly technical but if you simply want to play records easily, you can’t fault the price on this. 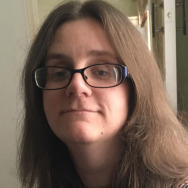 In need of something with a bit more heft? 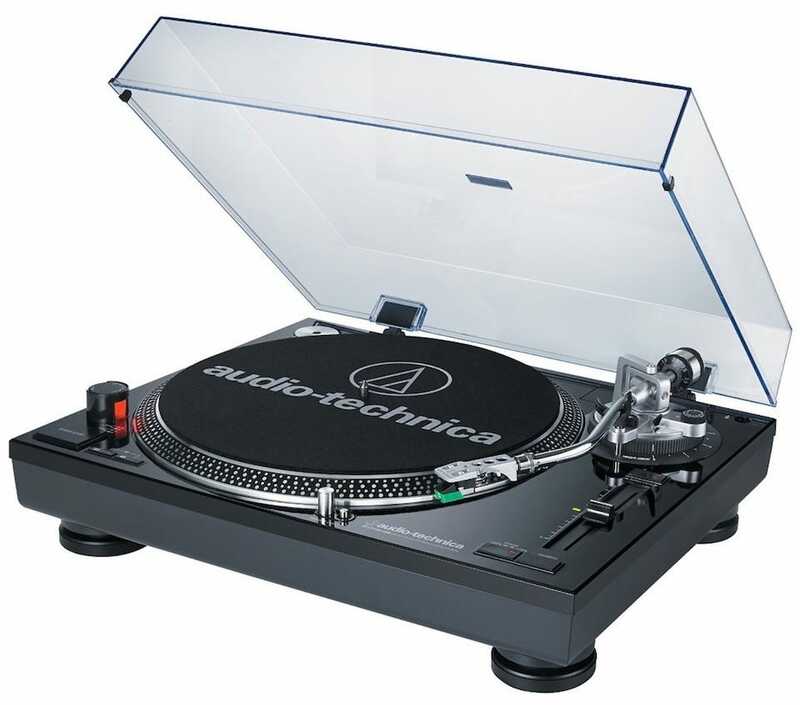 The Audio Technica Professional Turntable lives up to its name. It’s a direct drive system rather than belt driven, but the quality is high end. 3 speeds are available—33 1/3, 45, and 78 RPM—with additional tweaks available for the pitch adjust. An s-shaped tonearm has an adjustable counterweight, anti-skate adjustments, and tone-arm height adjustments, so there’s lots you can fiddle around with here. Additionally, you can hook the device up to your computer via its USB connection to convert music. There’s also a built-in phono amp which may attract derision from high-end audiophiles, but works very well for everyone else. Just bear in mind that you need to set this turntable up with its own speakers. Unlike some of the all-in-one units we’ve showcased here, there aren’t any internal speakers, but that’s because this is relatively high end. You want to pair it up with some powerful speakers to gain the full benefits here. 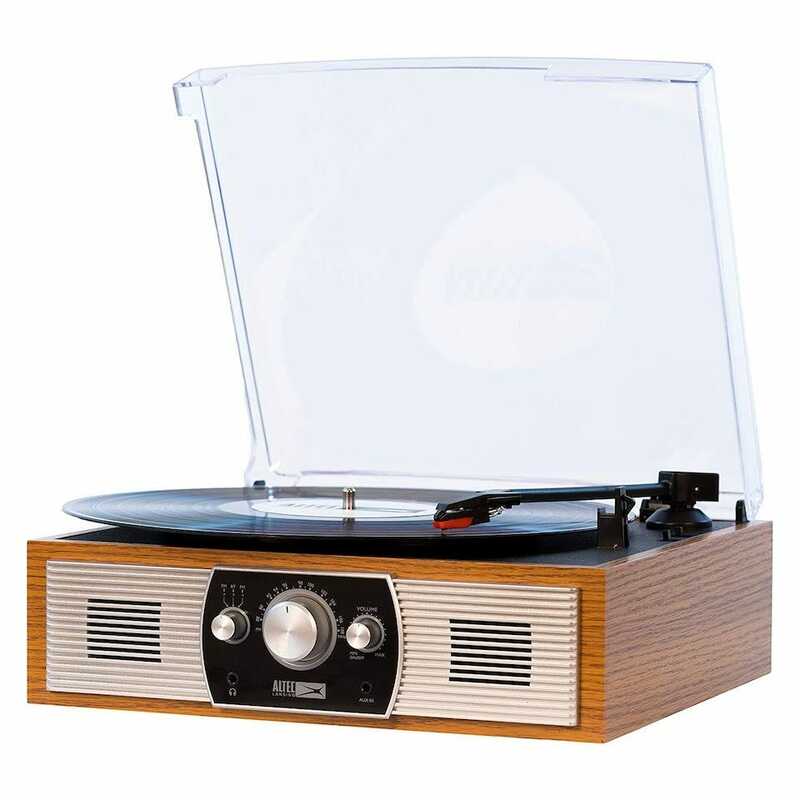 If you want a turntable that’s also a great talking point at home then the Victrola Nostalgic Aviator Wood 8-in-1 turntable is the device for you. It’s an all-in-one entertainment center that is perfect for those looking for something a little (OK, a lot) old timey. 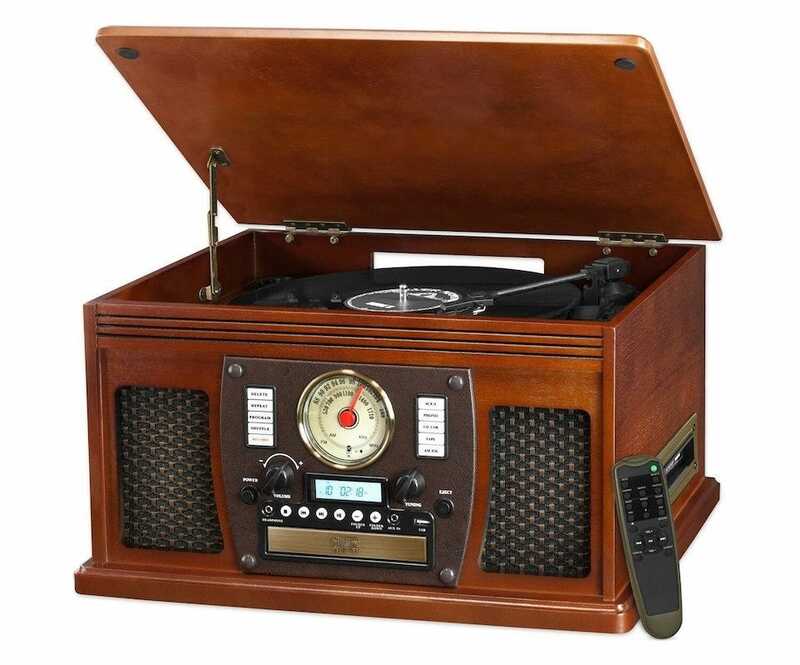 It has a three-speed turntable (33 1/3, 45 and 78RPM), built-in Bluetooth for playing music from your other devices, a built-in CD player, and an AM/FM radio. The really big selling point? You can use it to record directly from vinyl, CD or cassette, directly to USB. You don’t need to hook it up to your PC to do so. 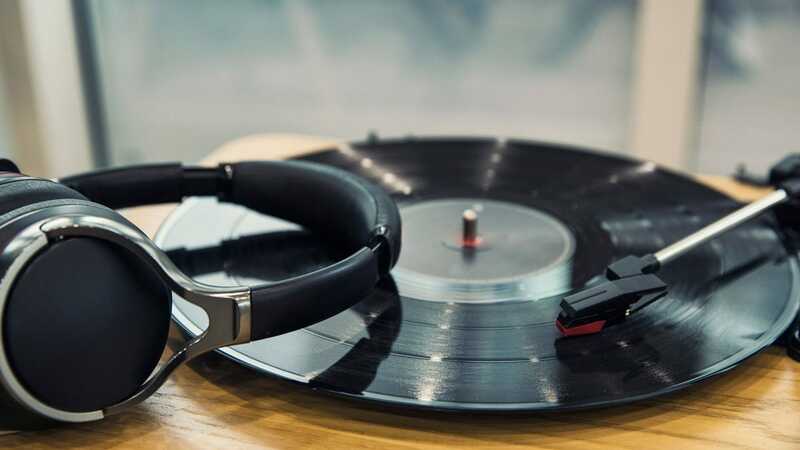 In particular, this is a huge boon if you have elderly friends or family that really want to be able to listen to their vinyl collection easily again. Plus, it’s super convenient for you too. Sound quality is pretty good too, although audiophiles will prefer one of our other suggestions like the Altec Lansing or Audio Technica. Pull-ups take stamina, strength, and a lot of practice, which is why we’ve rounded up a list of tools to not only aid in your pull up journey, but also add an extra challenge when you finally need it. Large artificial Christmas trees are great in many scenarios, but sometimes you want a small mini or tabletop Christmas tree to add some festive spirit to your home. Here are the best mini or tabletop Christmas trees you can buy.